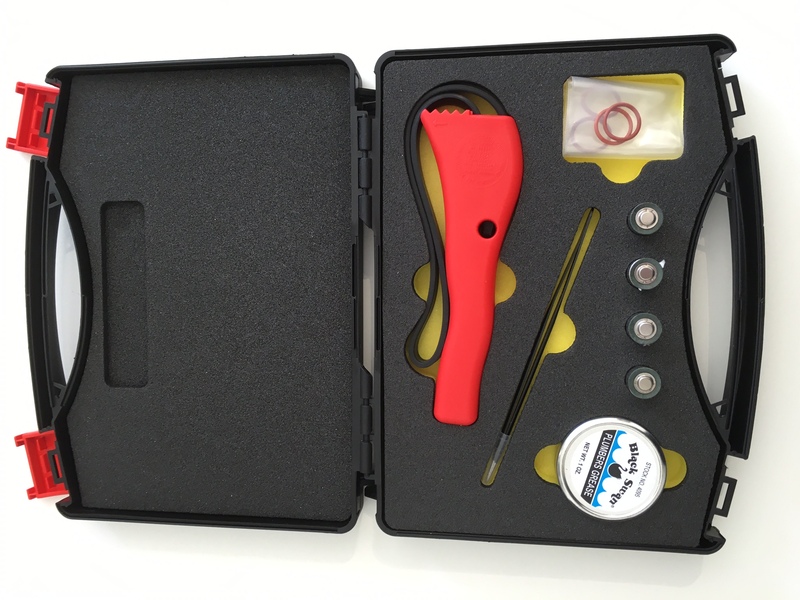 2" rigid penetration probe, temperature data logger, rated to 140°C. 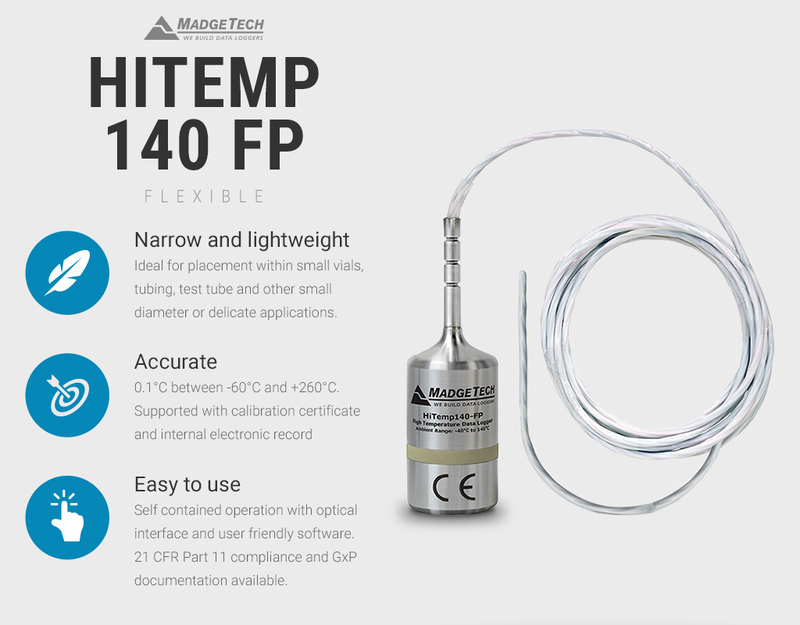 HiTemp140 available with 6 application specific probe sizes. 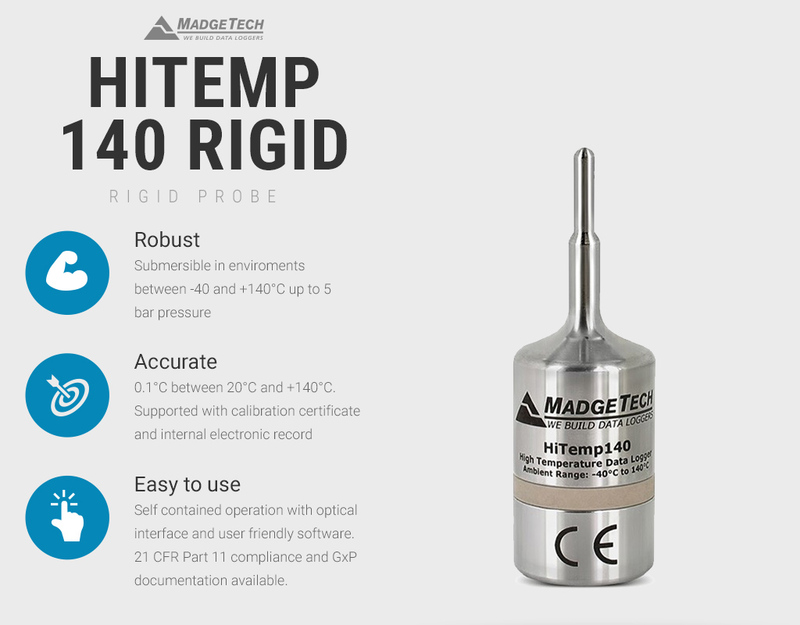 HiTemp140 MadgeTech validation data loggers, deliver precision (+/-0.1°C) temperature recording over a wide range of temperatures. 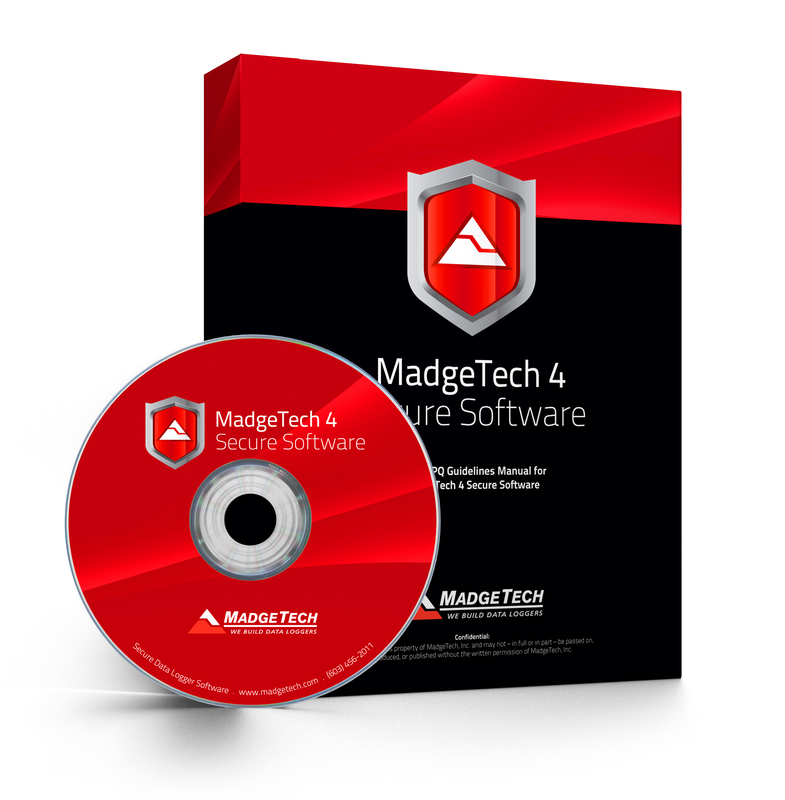 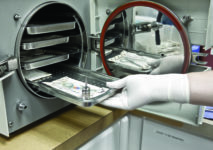 Ideally suited to autoclave validation, canning and in package validation exercises. 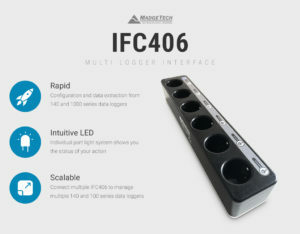 Configure a single HiTemp140-1 using the IFC400 interface or multiple data loggers with the IFC406 multiplexer. 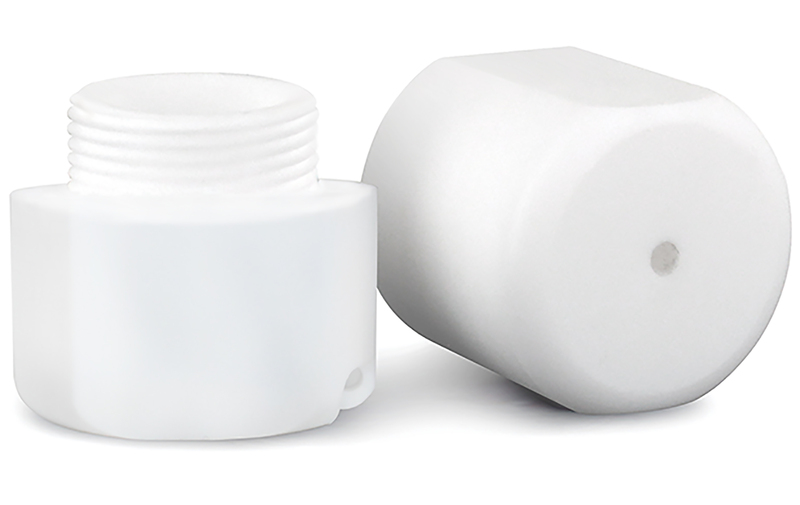 Stainless steel, submersible IP68 construction enables the operation in any environment between -40°C and +140°C (with no time limit) or -200°C to +250°C for a limited time, using the TSK shield. 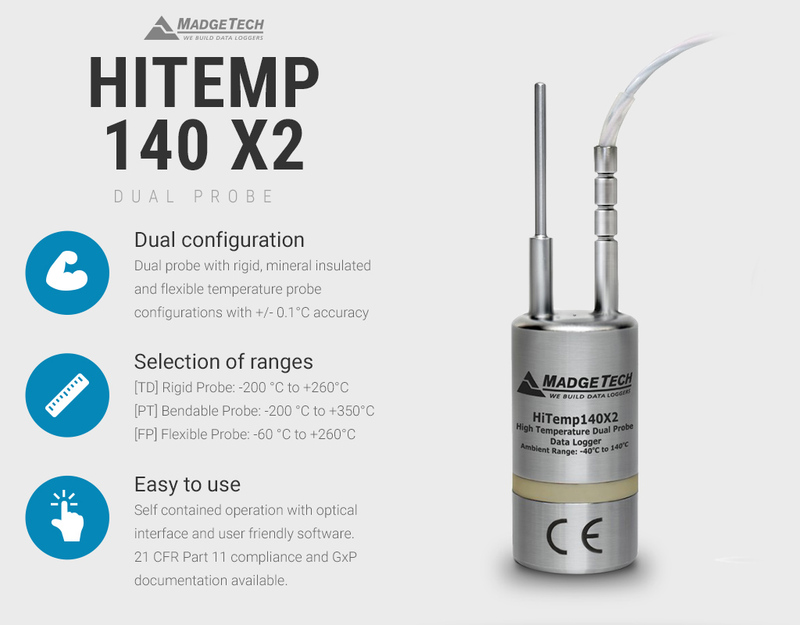 Compatible with the HiTemp140 range of products and accessories which encompass the demand for reliability and high performance at reasonable prices. 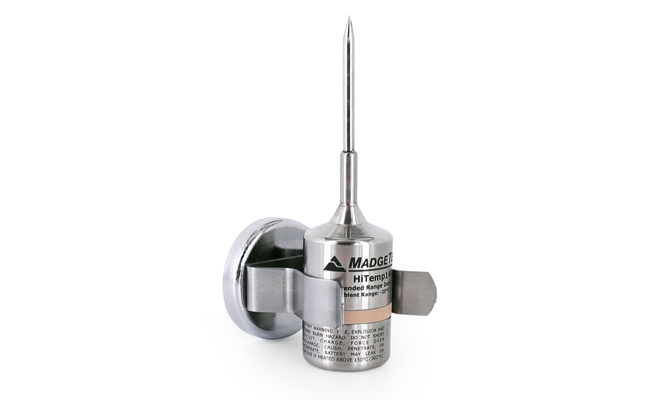 ISO17025 calibration available on request.  Data logger 1.6" x 0.97"
Carry case including items required to maintain HiTemp140 data loggers. 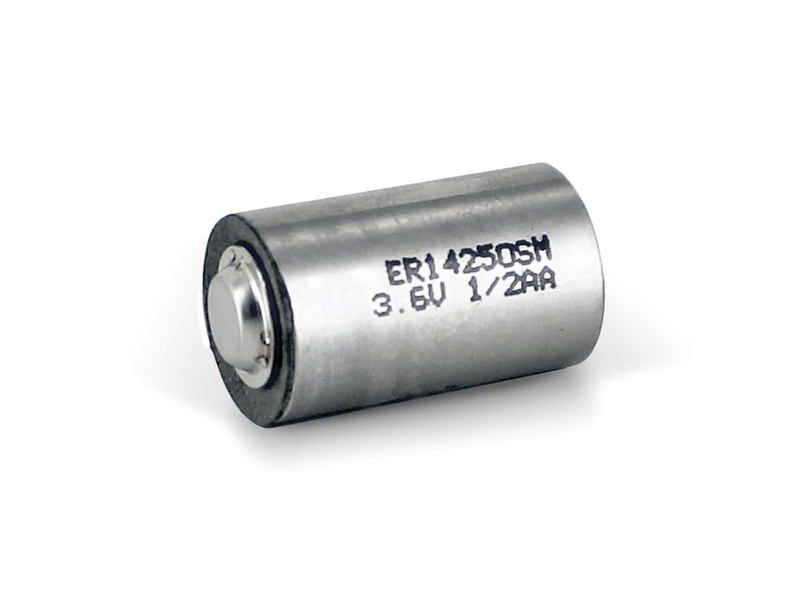 150°C 3.6V Lithium Battery, ½ AA Pressure Contact for HiTemp140 data loggers. 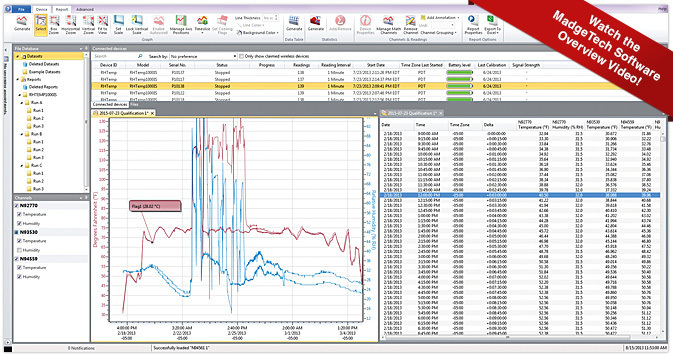 Vented top TS thermal shield for single channel temperature data loggers. 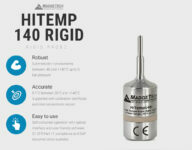 Durable enclosure allows time limited operation of HiTemp140 data loggers at temperatures between –200°C to +250°C. 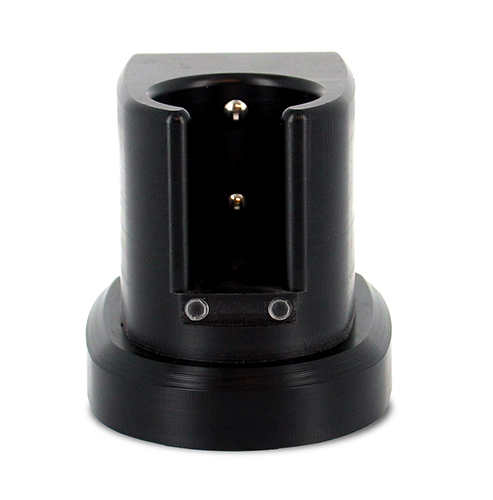 The MultiMount-Z is a versatile mount or stand for use with the HiTemp140 series of data loggers and other various loggers of the same body style. 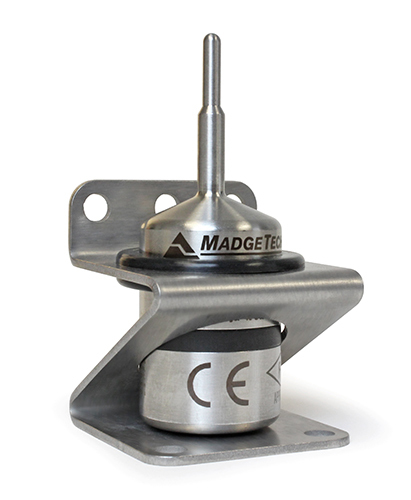 It can be used to stabilise a logger inside an autoclave, or screwed to a flat surface to create an anchored base. Made of 316 Stainless Steel, the MultiMount-Z is able to withstand temperatures up to 150°C making it ideal for use in autoclave sterilization processes. 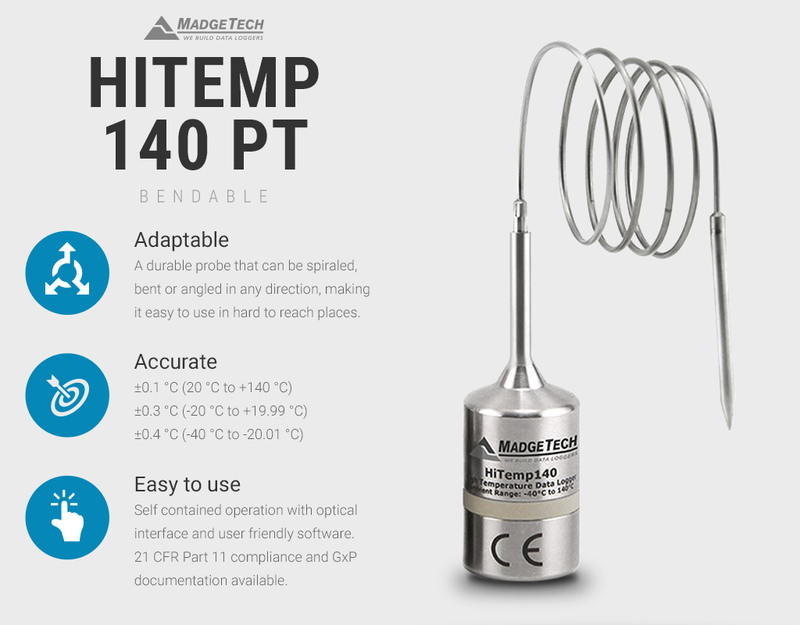 Flexible fast response probe, 4Hz recording rate, high temperature data logger. 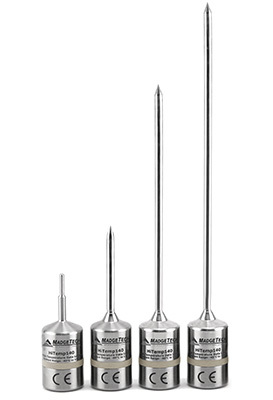 Available in 4 probe lengths. 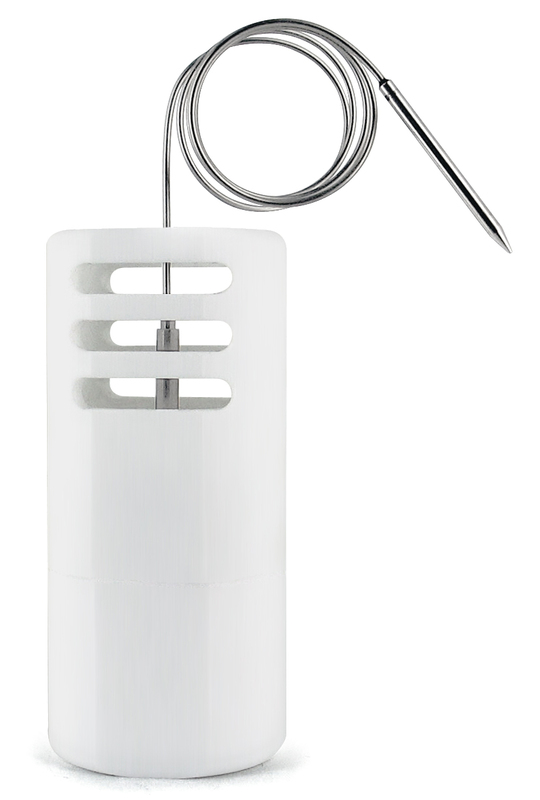 24″ Semi-Flexible cable terminated in either a 1.7″ or 4.8″ handled sensor tip, high temperature data logger.